If you love going to galleries and museums, you&apos;ll appreciate all there is to do on your next trip to Madison. To view your options, simply use the database below to search by category, location or keyword. When your results are displayed, click to discover details about each destination. 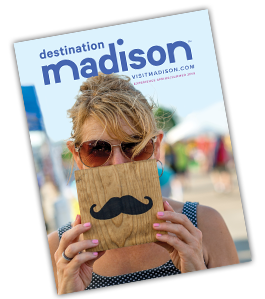 Or, review sample itineraries that will help you incorporate cultural experiences into your personalized plans to visit Madison.